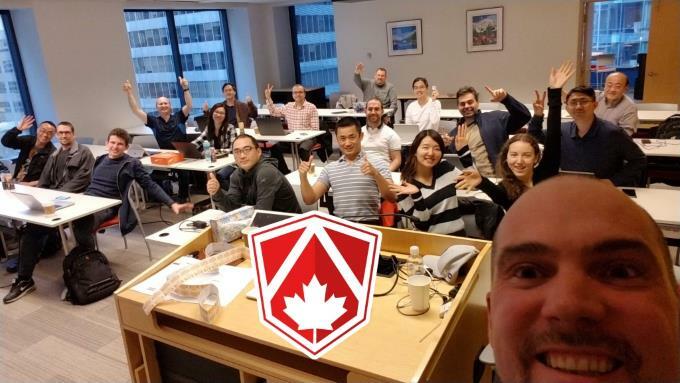 Angular Academy - Learn Angular 8 and TypeScript in Canada now! 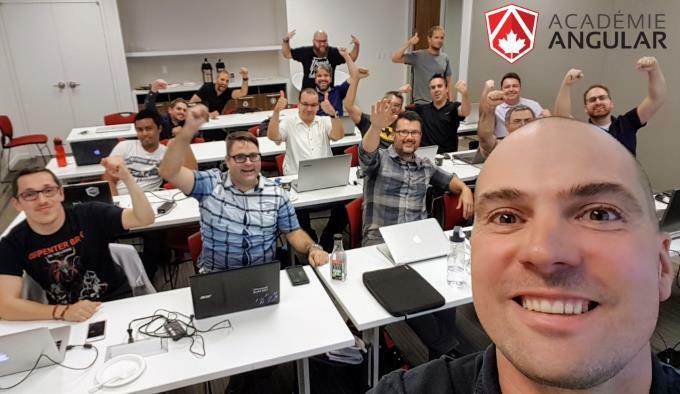 The #1 Angular Training in Canada! 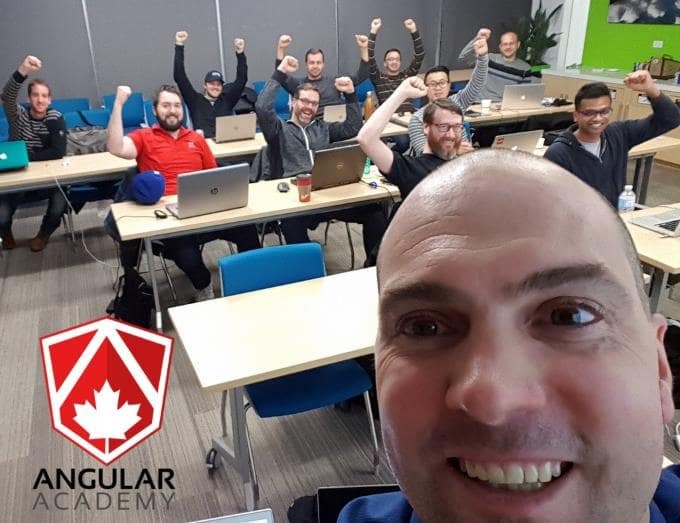 Angular Academy is a 2 day instructor-led classroom training in Canada! Learn the core concepts of coding a real business app with Angular and TypeScript from an industry expert in an immersive hands-on workshop. Bring your laptop! An important part of the training is dedicated to building apps together and testing things in real time (interactive learning class). 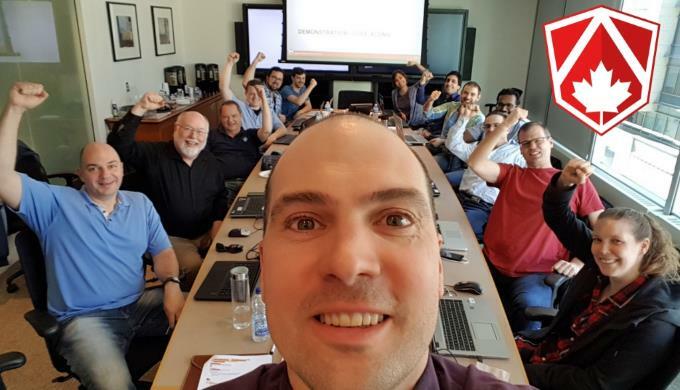 For public workshops we have 2 versions of the course: a very popular classic version that covers the fundamentals (2 days) and we also do an advanced one (1 day). We can also create custom courses: we offer to tailor the content to fit your team's preferences and expectations at no fees. 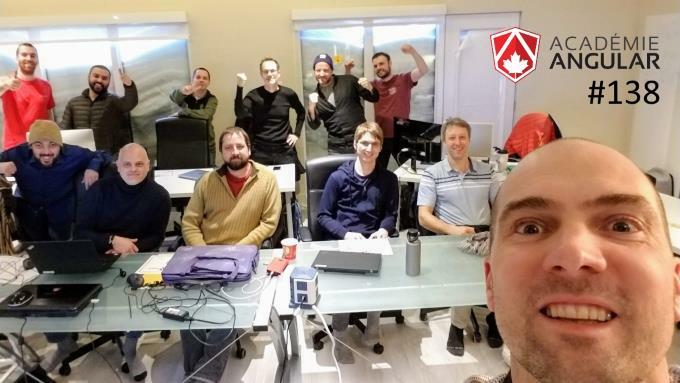 This immersive instructor-led workshop covers all the core concepts and guides you to build a full Angular data-centric business application, including the role of TypeScript, project setup, code structure, style guide, using the Angular CLI, data binding and MV*, abstracted remote data calls through services, observables, and routing. Angular Academy is the ideal starting point to understand and use Angular 8 effectively now. 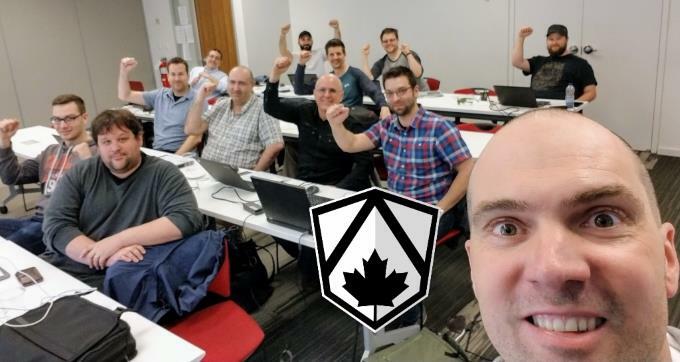 You'll experience several demos and "code along" activities and be provided with the code throughout the workshop, as you learn how to build apps using Angular 8, with plenty of interactivity with the instructor in the room. 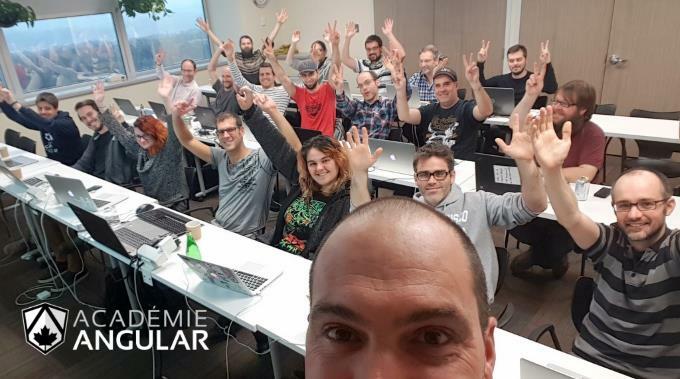 This is an intense instructor-led workshop that covers advanced topics dedicated to people who are already familiar with Angular, TypeScript and RxJS! 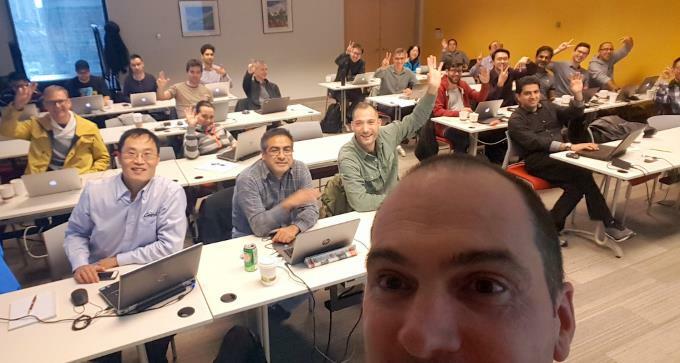 This workshop is very hands-on and you'll have the chance to work on an Angular data-centric business application with plenty of interactivity with the instructor in the room. 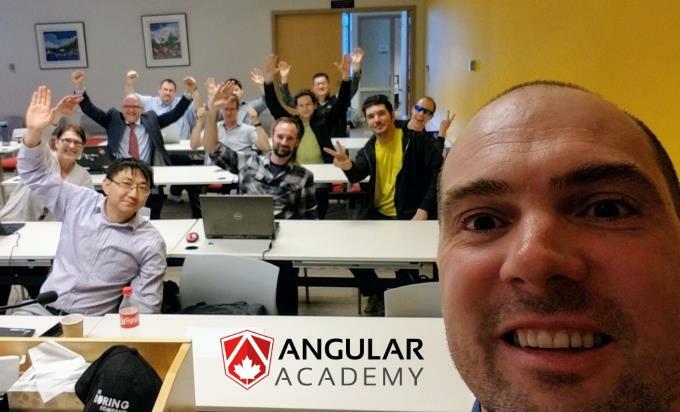 We plan to visit every major Canadian city over the year, contact us if you want Angular Academy in your city soon! Having a group of at least 6 people ? Host this workshop at your company! Accept external attendees as well and get discounts! Based on 214 ratings from the last 6 months. We will only contact you regarding our Angular Workshops! 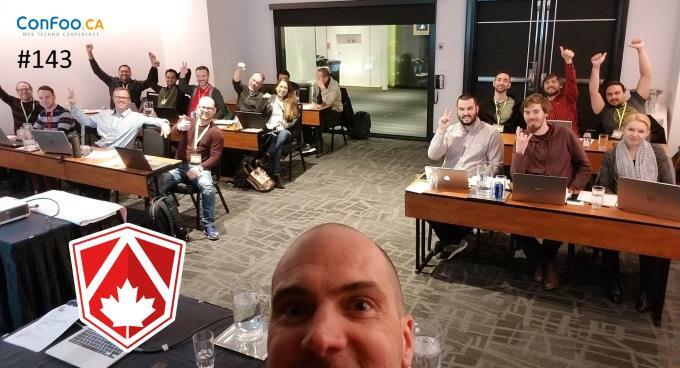 Be part of our next workshop and learn Angular in a fun and engaging way! 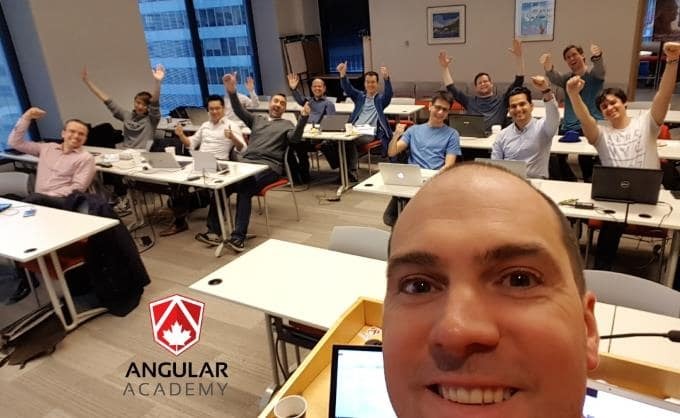 "The Angular Academy was conducted in a professional and easy to consume condensed format for working tech professionals. I would highly recommend it to any one looking to get up to speed quickly with the latest version of Angular. 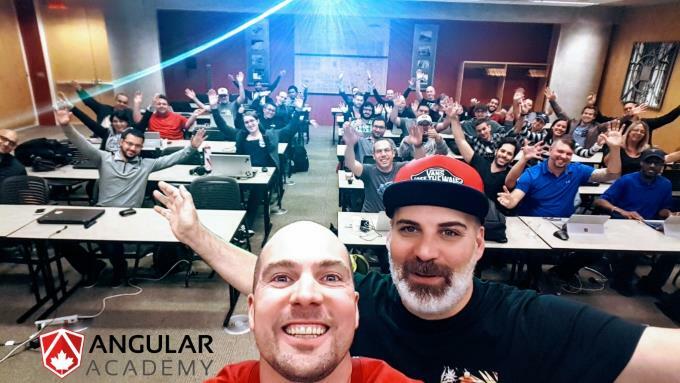 The course material is very hands on, and you are left with many strong resources to continue your journey into Angular!" "I would like to once again thank you for the professional Angular training that we received!" 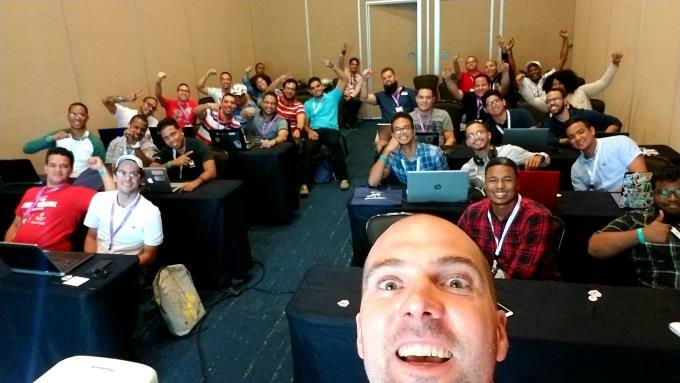 "Top notch Angular Workshop! Very well prepared!" 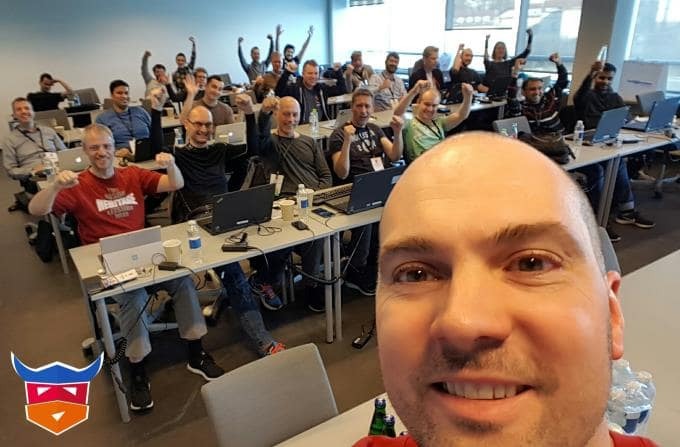 "It was a really great Angular workshop, on topic and a great rhythm. I learned a lot!!" "This is definitely a very good Angular course!!" 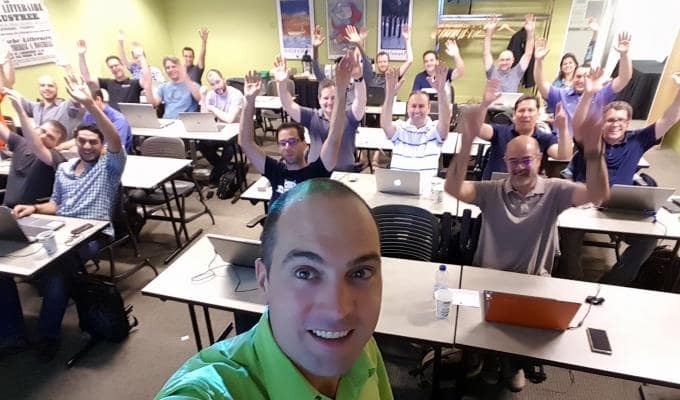 "I found the workshop very interesting and I was able to learn a lot of things related to Angular, TypeScript and web development in general during it. For two days the content covers a lot of interesting aspects which could serve as a good base to start digging more into the subject." 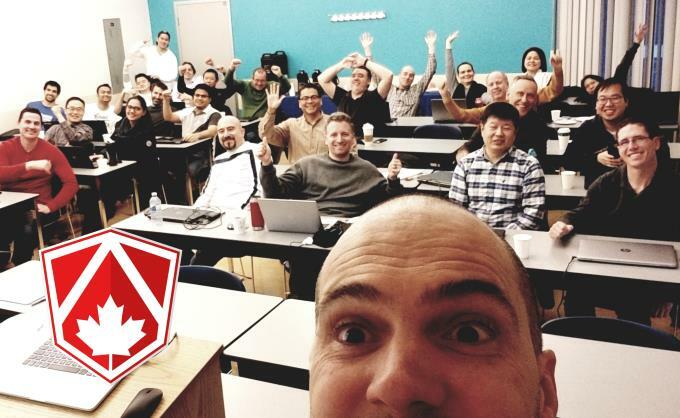 "2 days of this Angular course... I got more than a week on my own!!" "A perfectly paced, hands-on dive into Angular and TypeScript that leaves you wanting more. I didn't want to go back to work the next day!" "Thank you for the excellent training! It was really useful. I'm going to start a new project with Angular, and hopefully, I'll be able to implement the solution with all I learned!! " 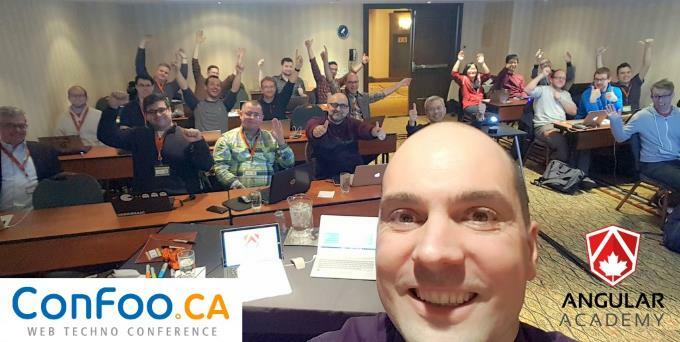 "Thank you for the wonderful angular session, the perfect mix of theory and hands-on coding. It was compact but had all the info to set one off in the right direction to build enterprise grade apps!" 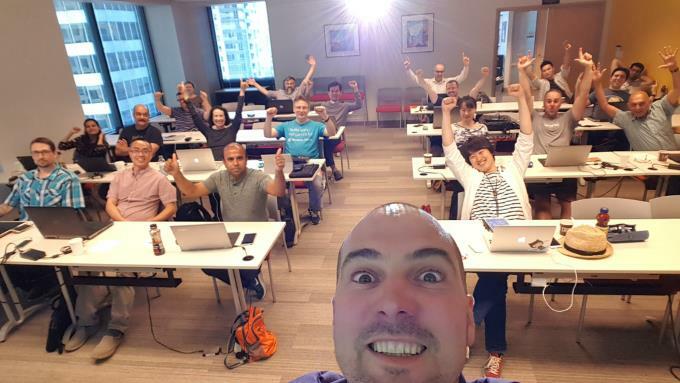 "Thanks again for the great Angular workshop, I took a lot away, and am excited to play around with Angular and with TypeScript in particular, and see how it can fit into our dev stack at work. " 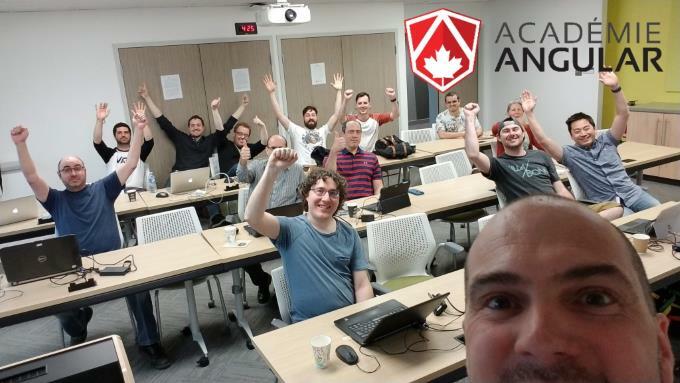 " The course was really good to learn how to work with Angular. I already started my first app with Angular, it was a lot of new things I had to use, but now I can feel the real power of Angular! " "I really enjoyed this course, and found the instructor very engaging with a deep understanding of the material. 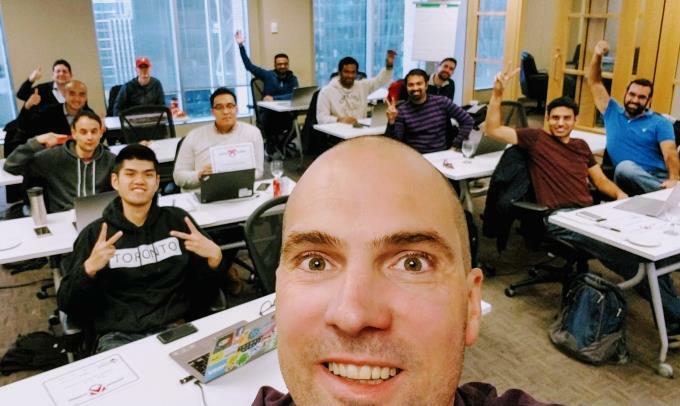 The lessons on TypeScript and Reactive Programming were informative and practical, and I left feeling confident in my abilities regarding Angular. Thanks again — I highly recommend this course!! " 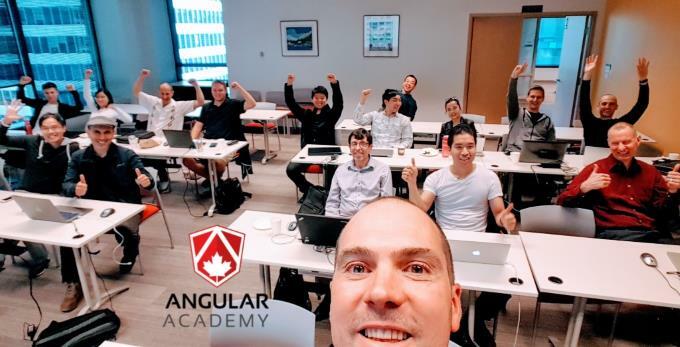 "Thanks again for the Angular training in Vancouver. The workshop was very useful with plenty of new things that we learned!" "Your Angular course was very useful to me. I have a much clearer sense of the relations between the different Angular elements, now, and of how to approach structuring an Angular site. Your instruction style is perfect for a 2-day course (I have done some teaching, so I have some sense of the work required to prepare effective course materials)." 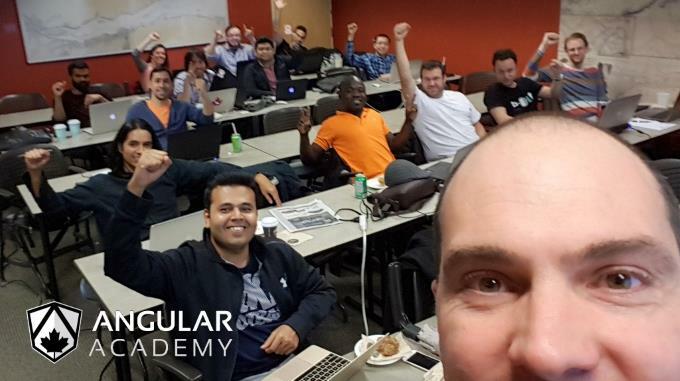 " The Angular Academy course is taught by a very experienced and patient instructor. The course is very hands-on and provides a good tour of the Angular features. It also provides a great in depth knowledge of using Angular for my work. I highly recommend this course for anyone who wants to gain a more in-depth knowledge of Angular. " "Very interesting and professional training. Definitely recommend it!" "The course was GREAT! I found it incredibly helpful in breaking through some conceptual barriers. I finally understand promises woohoo. We all had a blast. Thanks SO much, it was a great experience to go through as a team." "It was a great training and I really enjoyed it. I rarely have chances to just code so this was a real treat and I enjoy the capabilities of Angular." Read more!! Add your short comment! 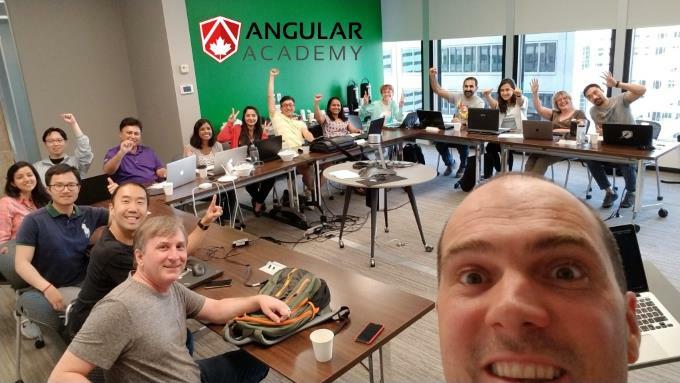 What is Angular Academy ? Click on Register and follow the link to the workshop in your city to check the price. Easy! Just follow us on Facebook and Twitter as we often share promo codes! No, we do not believe in the efficiency of online courses for programmers training. Our courseware is delivered live as an immersive workshop with plenty of interactivity with the instructor in the room. Will you visit my city? Just ask! If you are in Canada we can visit you for sure. Which version of Angular are you using ? 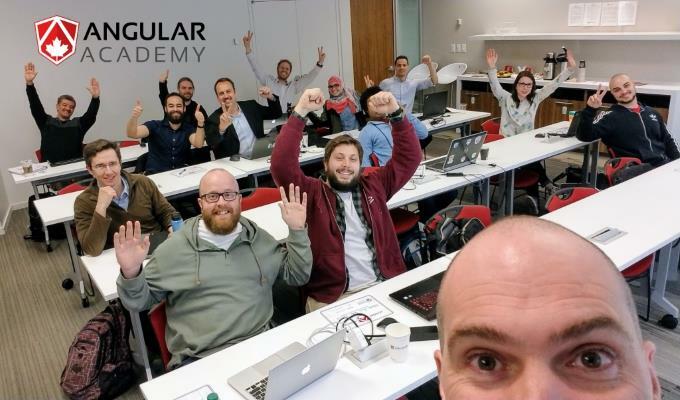 We are *always* teaching on the latest version of Angular. We constantly update the training material to follow the new Angular versions. A detailed setup document is sent to attendees one week prior to the training. Basically you'll have to install Node.js and the latest version of the Angular CLI. What is the experience like being in your workshop ? Will I get any certification on completion of the course ? You will receive an Angular Academy certification in the form of a course completion certificate. Of course! If you have a group of 6 and can provide a room with WiFi, projector/TV, classroom setup. And if your room is big enough to accept external attendees as well, you'll get a great discount! Contact us to schedule a session now. 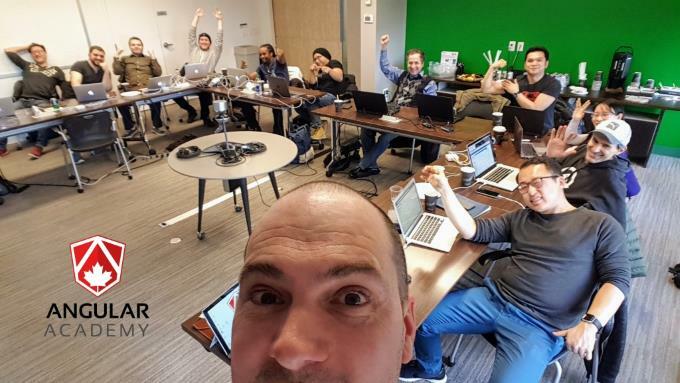 We've trained thousands of developers at some of the country's largest tech companies! © 2015-2019 LDEX. "Angular Academy" has no relation with "Google Inc". We don't claim "Angular" or "Angular Academy" as a trademark.